SILLCOCK 1/2 IN. X 6 IN. SILLCOCK 1/2 IN. X 6 IN. 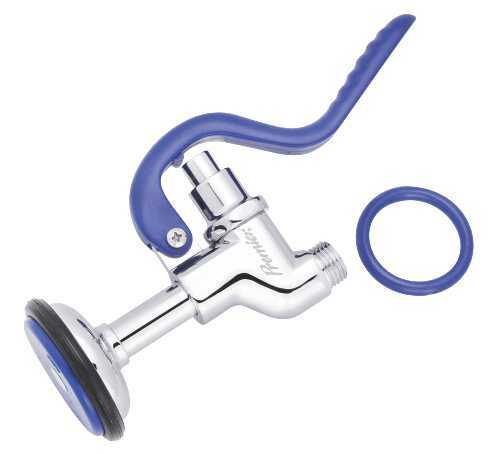 | 150 Wwp | Chrome Plated Body | 1/2" Mip Or 1/2" Sweat X Hose | Large Plastic Handle | Not for potable water use. | Available for irrigation and outside non-potable water use. 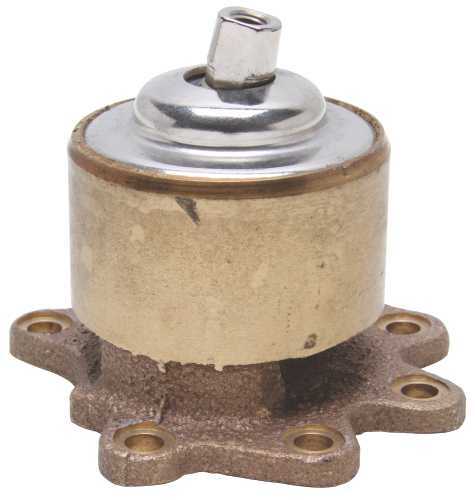 STANDARD DUTY FLOAT VALVE Bronze body with MNPT threaded inlet & outlet Cotter pin pivot arm assembly Replaceable plungers Stem Fitting: 1/4-20 Maximum pressure - 125 psi Maximum temperature - 180 degrees F. 1/2ST500 1/2 IN. STD FLOAT VALVE PIPE SIZE:1/2"
BRONZE FLOAT VALVE Male inlet - plain outlet bronze float valve Flange provides support against tank walls Serrated arm allows easy adjustment of - water level Pivot assembly prevents breakage during freezing Replaceable seals Locknut & washer included Rod thread 1/4"-20 109804 3/4 BRONZE FLOAT VALVE SIZE:3/4"
OEM replacement gas valve for the Series 100 Premier Plus residential natural gas water heaters used on models with 30 gallons tanks through 50 gallon tanks. Can also be used on equivelant American & U.S. Craftmaster brands Series 100 units. Made to fit on units with 1" insulation. 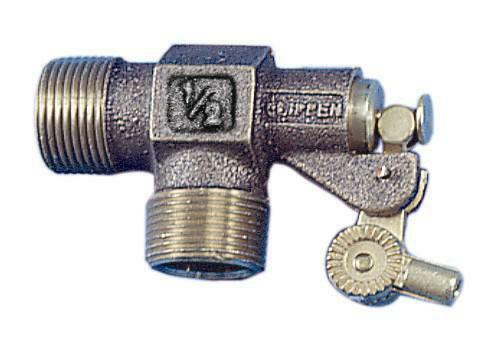 Gas valve made by Honewell. 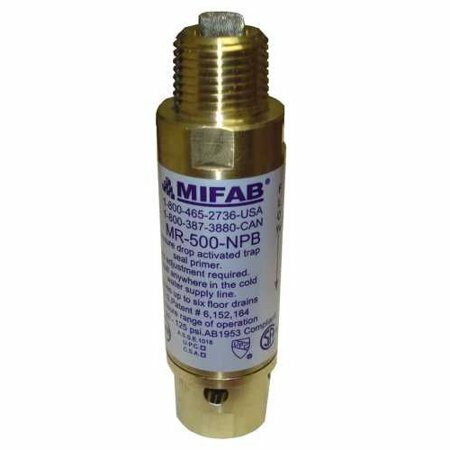 MIFAB� MR-500, M1-500 & M2-500 Series pressure drop activated brass trap seal primer, with inlet opening of 1/2" male N.P.T. and outlet opening of female 1/2" N.PT. Complete with four view holes and removable filter screen. Requires no adjustments and no air pre-charge. 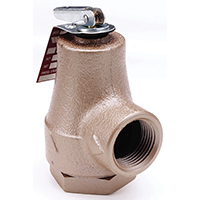 MIFAB's Series of pressure activated trap seal primers (MR-500, M1-500 and M2-500) can be connected to any cold water line and will be automatically activated when a valve or faucet, that is on the line, is opened. A pressure drop of three p.s.i. will activate all of the trap seal primers. MIFAB's Series of trap seal primers can be disassembled in the field. Their unique design permits filter replacement without affecting the performance of the primer. The "O" ring seals are tested for reliability at a temperature range of -40 degrees to 450 degrees F. The M-500 Series of trap seal primers do not require adjustment. The operating range for all of MIFAB's Series of trap seal primers is 20 to 125 p.s.i. All three models are listed with I.A.P.M.O. and C.S.A. and are tested and certified to the A.S.S.E. Standard 1018 and are so marked. 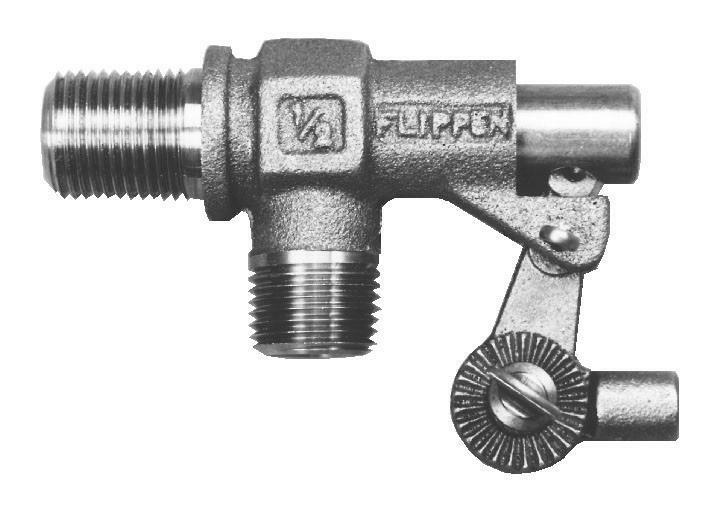 U.S. Patent # 6,152,164 | MIFAB model M2-500 pressure drop activated brass trap seal primer, with inlet opening of �� (13) male N.P.T. and outlet opening of female �� (13) N.P.T. Complete with four view holes and removable filter screen. 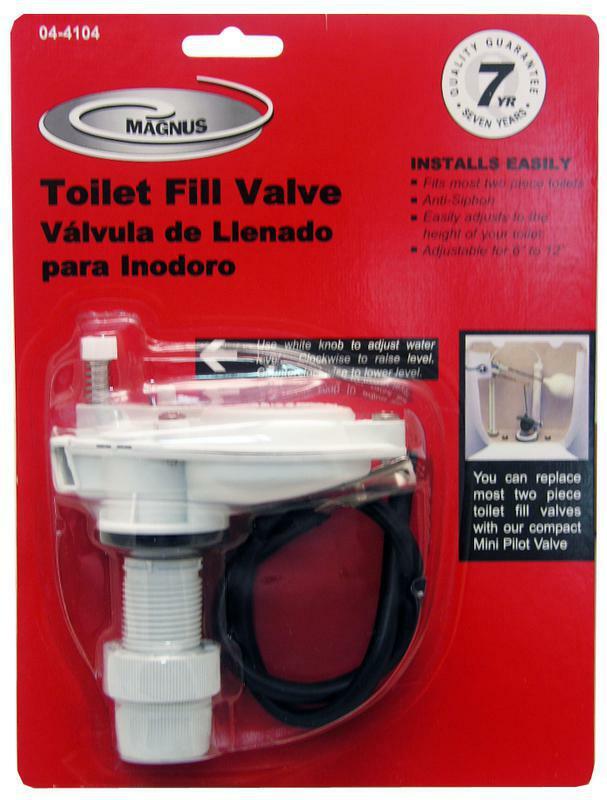 Serves up to 3 floor drain traps and requires no adjustments and no air pre-charge. SILLCOCK 1/2 IN. X 10 IN. SILLCOCK 1/2 IN. X 10 IN. 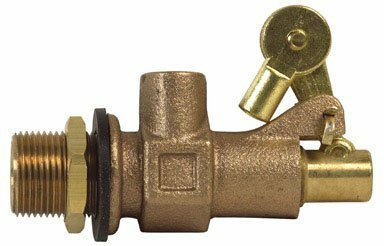 STANDARD DUTY FLOAT VALVE Bronze body with MNPT threaded inlet & outlet Cotter pin pivot arm assembly Replaceable plungers Stem Fitting: 1/4-20 Maximum pressure - 125 psi Maximum temperature - 180 degrees F. 3/4ST750 3/4 IN. 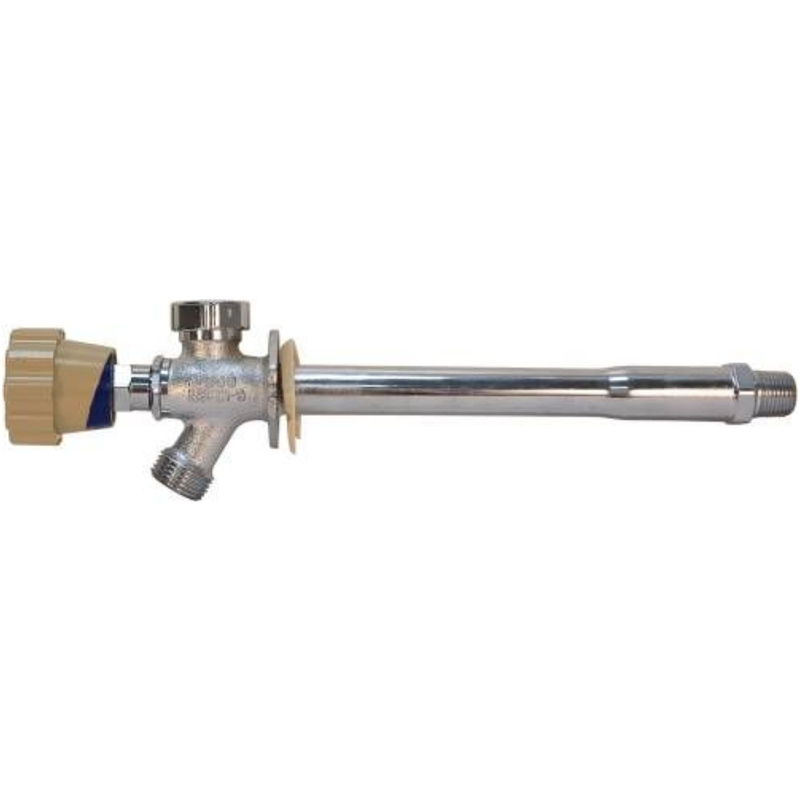 STD FLOAT VALVE PIPE SIZE:3/4"
OEM replacement gas valve for the Series 100 Premier Plus residential natural gas water heaters used on models with 30 gallons tanks through 50 gallon tanks. Can also be used on equivelant American & U.S. Craftmaster brands Series 100 units. Made to fit on units with 2" insulation. 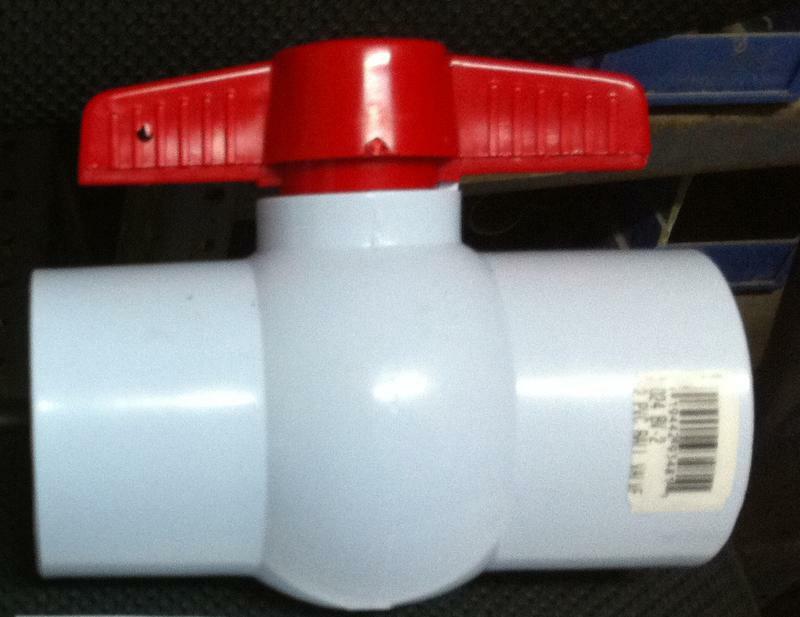 Gas valve made by Honewell. 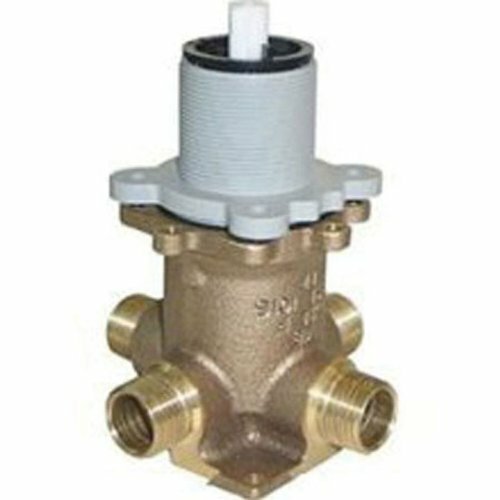 OEM replacement gas valve for the Series 100 Premier Plus residential propane water heaters used on models with 30 gallons tanks through 50 gallon tanks. Can also be used on equivelant American & U.S. Craftmaster brands Series 100 units. Made to fit on units with 1" insulation. 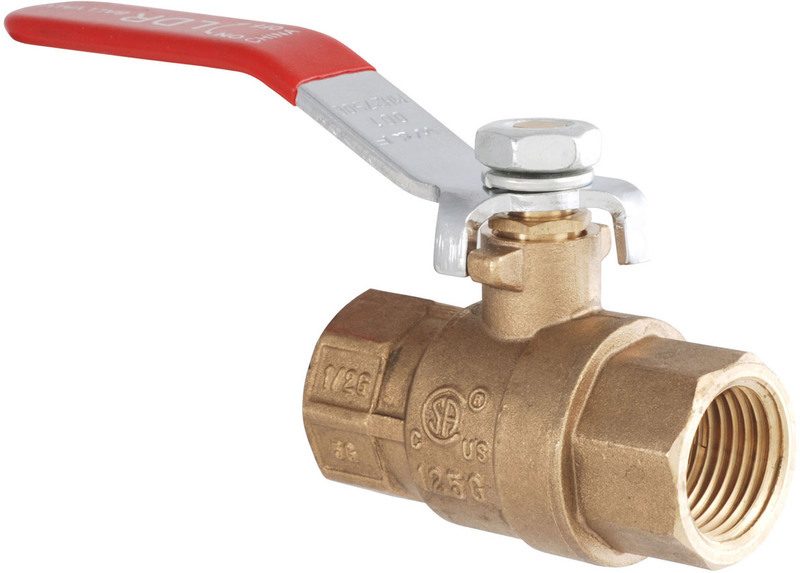 Gas valve made by Honewell. 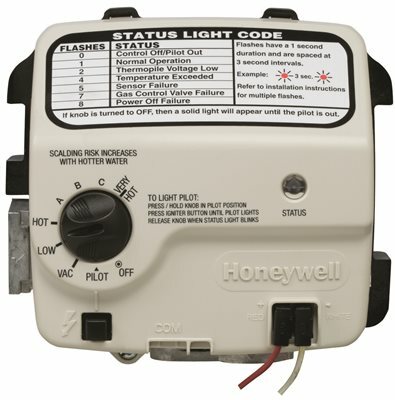 OEM replacement for the Series 100 Premier Plus residential natural gas water heaters used on models with 30 gallons tanks through 50 gallon tanks. Can also be used on equivelant American & U.S. Craftmaster brands Series 100 units. Made to fit on units Ultra LoNox models only with 2" insulation. 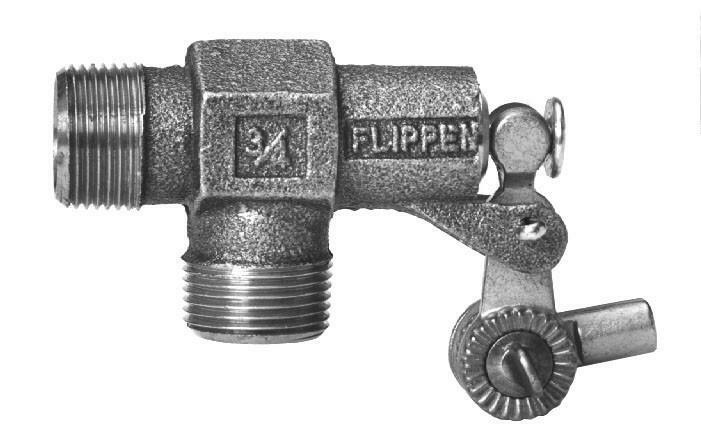 Gas valve made by Honewell. 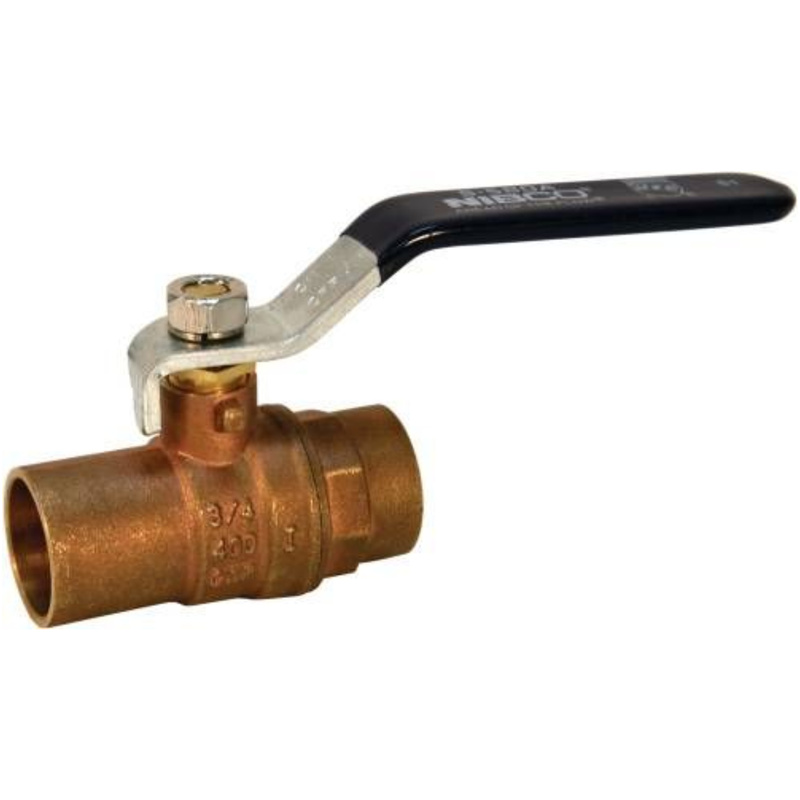 FORGED BRASS GAS BALL VALVE ISO 9002 AGA-3-88 (2 PSIG) Certified UL- Water (258) CGA Certified - Canadian Gas Association One piece body, lever handle Chrome plated forged brass ball Coated aluminum handle Threaded ends comply with ANSI B1.20.1 0201514 3/4 IN. 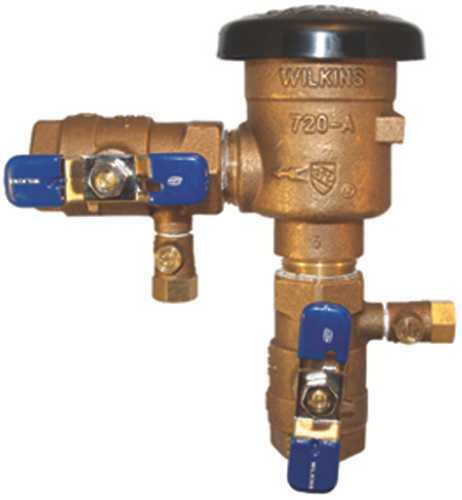 BRS GAS BALL VALVE SIZE:3/4"
WILKINS MODEL 720A PRESSURE VACUUM BREAKER ASSEMBLY, 1 IN. 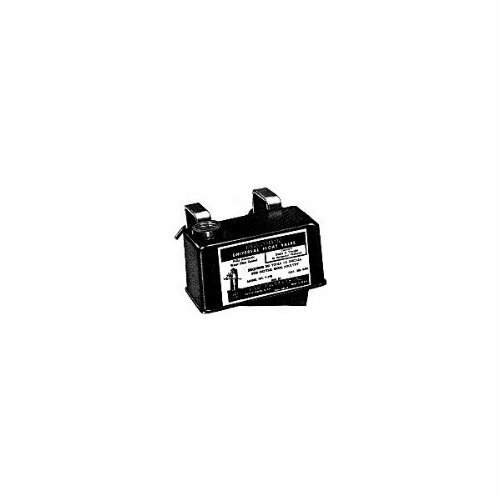 WILKINS MODEL 720A PRESSURE VACUUM BREAKER ASSEMBLY, 1 IN. MIFAB� MR-500, M1-500 & M2-500 Series pressure drop activated brass trap seal primer, with inlet opening of 1/2" male N.P.T. and outlet opening of female 1/2" N.PT. Complete with four view holes and removable filter screen. Requires no adjustments and no air pre-charge. 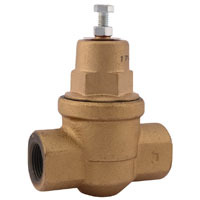 MIFAB's Series of pressure activated trap seal primers (MR-500, M1-500 and M2-500) can be connected to any cold water line and will be automatically activated when a valve or faucet, that is on the line, is opened. A pressure drop of three p.s.i. will activate all of the trap seal primers. MIFAB's Series of trap seal primers can be disassembled in the field. Their unique design permits filter replacement without affecting the performance of the primer. The "O" ring seals are tested for reliability at a temperature range of -40 degrees to 450 degrees F. The M-500 Series of trap seal primers do not require adjustment. The operating range for all of MIFAB's Series of trap seal primers is 20 to 125 p.s.i. All three models are listed with I.A.P.M.O. and C.S.A. and are tested and certified to the A.S.S.E. Standard 1018 and are so marked. 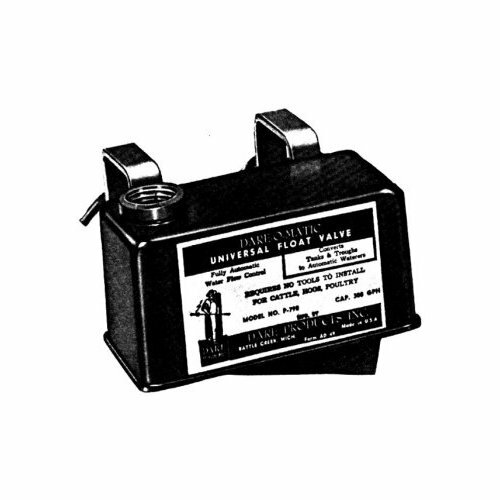 U.S. Patent # 6,152,164 | MIFAB model MR-500 pressure drop activated brass trap seal primer, with inlet opening of �� (13) male N.P.T. and outlet opening of female �� (13) N.P.T. Complete with four view holes and removable filter screen. Serves up to 6 floor drain traps and requires no adjustments and no air pre-charge.